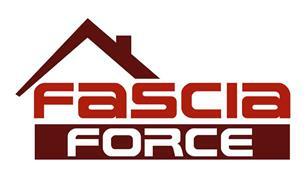 Fascia Force - Fascia/Soffits/Guttering, Roofer based in Bristol, Somerset. Invoice history based on 81 reviews. Fascia Force is Bristol’s local and affordable fascia soffit and guttering company. We replace fascia soffit and guttering and install GRP, (Fibreglass) flat roofs in Bristol and the extended area. We are carpenters trained in the uk, ensuring that the cuts are tight and the structure is sturdy. With years of experience in the industry you will always feel you are in safe knowledgeable hands. Our UPVC fascia boards and guttering products are second to none. All our products come with a 15 year guarantee and a life expectancy of at least double, meaning you will never have to think about your fascias soffits and guttering again. Fascia Force are here to protect your home from the elements at a price that’s affordable to you. Give us a call and we’ll pop over for free.